We’re bringing back last weekends drinks offer and ushering a new one all in the same weekend! On Thursday 04 October, Rock legends Big Country will be bringing back the glory years of English rock music and we’re continuing the offer on Good Old Boy. 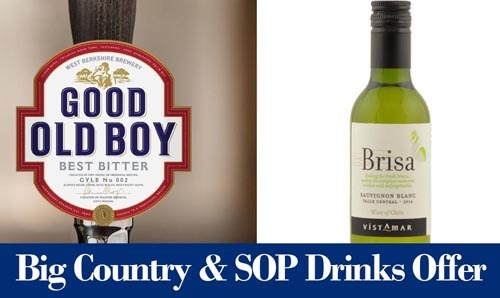 That’s right, pints and bottles of Good Old Boy will be just £3.50 again on Thursday night only! Then on Friday award-winning a capella group Sons Of Pitches will be performing 100 Number One Hits. For this sell-out show we’re offering our single serve wines for just £4!